Home Tech Why Do You Need Business Cloud Storage Solutions? Why Do You Need Business Cloud Storage Solutions? Businesses need to sign up for business cloud storage solutions so that they can run optimally. The key difference between personal cloud storage and business storage is in terms of the number of users. In a personal plan, there is only a single user signing up for an account and he alone has access to the data and files stored. In a business cloud storage plan, there will be multiple users with access to the account. Since there are many log-in credentials, the administrators must also set specific limitations for the different users accessing the account. So, business cloud storage solutions will typically have some features which are not there in personal cloud storage. Besides being able to set limitations on access by different users, they may also have collaborative features. While many individuals are already embracing the cloud to avail of the many benefits which it has to offer, many businesses are yet to make the switch. So, for companies which believe that their on-site storage is sufficient or have not considered storing their critical data in the cloud at all, knowing about the benefits of business cloud storage may be useful. How Can Enterprise Cloud Storage Benefit A Business? Ø Perhaps the biggest advantage of choosing to sign up for business cloud storage plans is that you get to save money. Storage in the cloud proves to be more affordable as the providers will be distributing their services and infrastructure over many enterprises. When you move to the cloud, you will not have to pay for hardware purchase and maintenance. So, elimination of capital and operational costs will amount to significant cost-savings. Ø With business cloud storage planes, you can also save on space. You will only need your office to have computers and Internet connectivity. Hardware for storage is provided by the storage provider. You do not need extra manpower to monitor such hardware. So, your internal resources are free to concentrate on other important business development tasks. Ø Since data is stored in the cloud, it is kept safe in a remote but secure data center facility. Data inside the workplace can be prone to damage and theft. In the cloud, there is no one point of failure as data is backed up inside many servers. This implies that even if any server crashes, data will remain intact. Moreover, hardware malfunction is also a rarity because data gets stored inside redundant locations. Ø Finally, with business cloud storage, businesses can benefit from increased mobility. So, whether you are at your desk or traveling, you can access the stored data and files. Earlier, employees could access files, share documents and send emails only at their desk. But, with cloud technologies, they can work on the go. Cloud storage is scalable and you will only end up paying for the features you are using. You do not have to pay extra for underutilized space. Ø One of the first things to inquire about before choosing a provider is where they keep the storage hardware. No country is going to have the same compliance rules as another. So, business cloud storage in UK is bound to have different needs than business storage in Canada. This is why businesses must know where their data is going to be kept and the privacy regulations in that area. Ø A second important factor to evaluate before signing up for business cloud storage solutions is the cost. You have to inquire about the monthly or yearly costs for storage to see if it is more cost-effective than storing data locally. Costs for business storage will also change depending on the extent of storage needed and features that clients want. To get the best deals, you must shop around and compare costs and features. 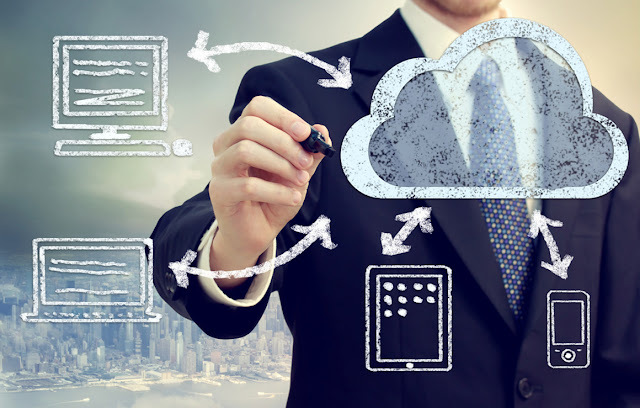 Which Businesses Can Benefit From Business Cloud Storage Solutions? The cloud is known to be very useful for larger corporations but even the smaller businesses can benefit from it. Backups are a convenient way for SMBs to compete against the big players. By using off-site storage these small businesses can save costs and also enjoy high computing resources just like the big businesses. Again, with cloud storage, these SMBs get to access data from any location on the globe. They can access data even while traveling; this is a very useful advantage which helps to enhance work productivity for all businesses, big and small. Moreover, the SMBs can take advantage of high-end security which keeps their data safe from hackers. Since more and more SMBs are showing an interest in business cloud storage, providers are offering such plans for much lower costs. Choice for cloud storage are increasing every day and administrators should ideally take time to research on the available options before signing up for one.